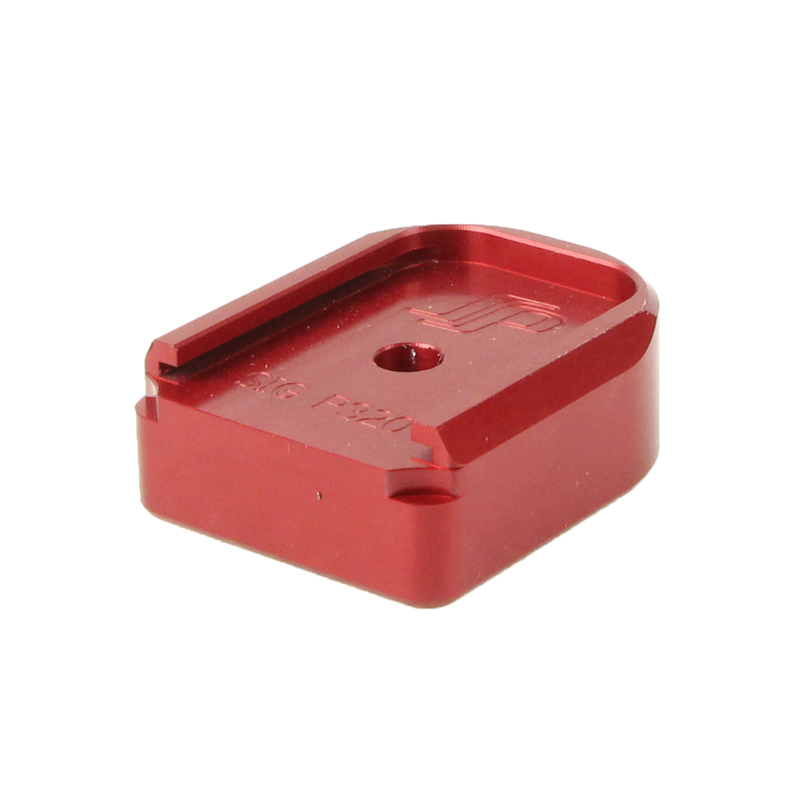 Spring Precision Sig P320 9/40 extended base pads are CNC machined from aluminum and hard anodized. This lengthens the magazine .25" to make for easier, more reliable magazine changes. They also allow you to use a magwell without adding capacity to the magazines. They are perfect for IDPA ESP and USPSA. Red. 0.80 OZ Round hole.